For parents of children with special needs, finding appropriate childcare can be an immense struggle. Approximately 30 percent of the parents in these families either leave their jobs or significantly cut back to care for their child. Even outside of working hours, parents often find that their lives are consumed with the appointments, therapies, and intensive care needed for their child. It is not uncommon for parents to feel isolated and stressed. One study of parents with children with autism, for example, found that nearly half of the parents included felt severe anxiety and nearly two-thirds were clinically depressed. When parents have access to a supportive network of other adults who can help them care for their children, the risk for parental mental health problems is reduced. Parents can then have time to themselves, improving their quality of life and reducing their stress. There are three main forms of care that parents can consider for their children. 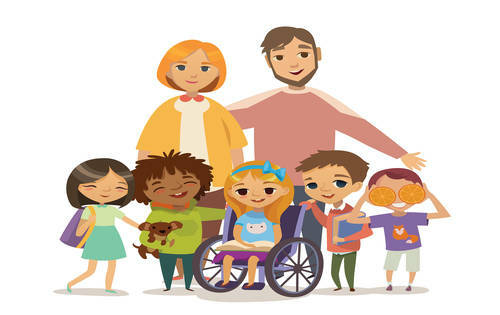 When children with special needs and their parents have a support network of family members and friends in place, this can often be a good place to start looking for care. These people will often have a basic familiarity with the child, their conditions, and the care they need. Parents can then provide instructions on care as well as plenty of hands-on experience before leaving the child. This system can also appeal to many because the child has a familiarity with the person before the care arrangement begins, and often this care is a more affordable option. Many families will find themselves feel more comfortable hiring a professional to provide them with care. Professionals will come with experience and training that may make them better equipped to handle children with, particularly challenging problems. Many parents may also feel more comfortable working with a care provider in a professional capacity, where they can make changes in care expectations as needed, rather than working with family members. 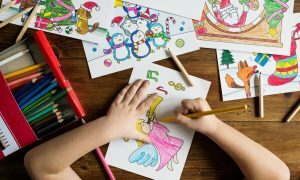 Child care facilities where the staff is comfortable with children with special needs and willing to be trained in how to care for a particular child’s condition can also be an option. Children in such a facility will be able to interact with other children on a regular basis, which can be beneficial for many. The care providers will also often have some background in child development and education, which can help them provide quality care. Making the right decision for childcare for a child with special needs can be a challenge. Finding an arrangement that works for a family, however, can be extremely beneficial for the parent’s mental state and thus the overall health of the family. Each family will need to review their children’s needs and make the decision that fits best for them. Daycare Center or Nanny: What's Right for the Modern Family?